The Rebel Sweetheart. : It's SALE Season Again at SM Supermalls! Wondering where to spend your Christmas money? 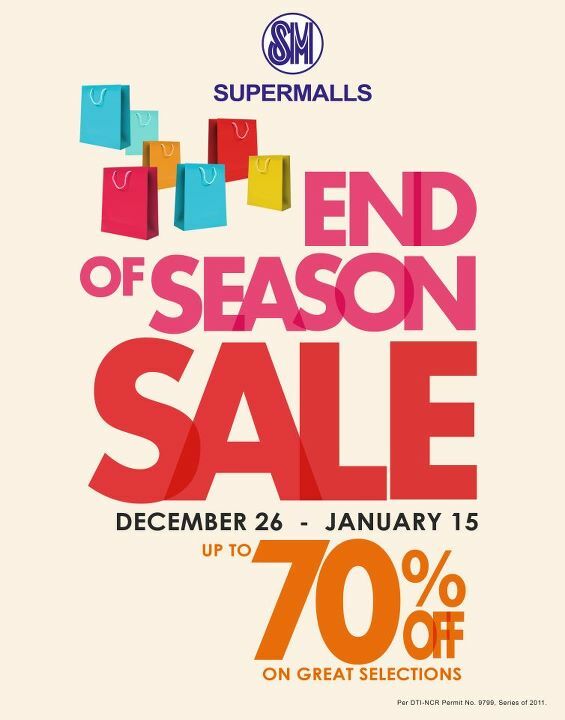 Make your way to the nearest SM mall and enjoy huge discounts on their End of Season Sale! It's SALE season once again! Happening now and runs until January 15 next year. Time to bring out all those red envelopes! I hope you can visit, too. Thanks much! It's a pity moms like us don't receive red envelopes anymore. Haha.